In an update to their Red List of Threatened Species on Sunday (Sept. 4), which assesses a species' conservation status, the IUCN reported the giant panda population has improved enough for the endangered species label to be downgraded to "vulnerable." ''The giant panda was once widespread throughout southern China, and is revered in the country's culture. The IUCN's first assessment of the species in 1965 listed the giant panda as "very rare but believed to be stable or increasing." 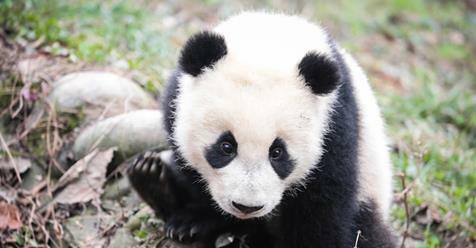 The species has been the focus of an intensive, high-profile conservation campaign to recover an endangered species since the 1970s, according to the World Wildlife Fund (WWF) — which has used the panda in its logo since 1961. "For over fifty years, the giant panda has been the globe's most beloved conservation icon as well as the symbol of WWF," Marco Lambertini, director general of the WWF, said in a statement. "Knowing that the panda is now a step further from extinction is an exciting moment for everyone committed to conserving the world's wildlife and their habitats." Decades of conservation efforts have included the banning of giant panda poaching — their hides were considered a commodity — as well as the creation of the panda reserve system, increasing available habitats. There are now 67 reserves in China protecting nearly 5,400 square miles (14,000 square kilometers) of habitat and 67 percent of the panda population, reported CNN. "The recovery of the panda shows that when science, political will and engagement of local communities come together, we can save wildlife and also improve biodiversity," Lambertini said in the statement. The Chinese government's partnerships with the international organization have also spread conservation and breeding efforts. In June, a healthy male cub was bornin a Belgian zoo. The captive population is not taken into consideration by IUCN for the Red List, which is specific to species in the wild. However, the captive population being bred for recovery and reintroduction are part of the overall conservation picture, according to Joe Walston, Vice President of Conservation Field Programs for the Wildlife Conservation Society. The giant panda is not completely in the clear, however. The IUCN warned that climate change and decreasing bamboo availability could reverse the gains made in the past few decades. More than one-third of the panda's bamboo habitat could disappear in the next 80 years, according to the IUCN. "It is a real concern, and this is emblematic of what species are facing globally with regard to climate change," Walston told Live Science of the threat to habitat and food supply. "The most important thing we can do at the moment is to be able to grow the extent and range of that habitat and by doing that you allow pandas to move across landscapes." Wildlife as a whole can adapt to short-term changes and season extremes, Walston said, but they need to space to move and adapt. As such, conservation efforts continue and the giant panda will continue to be considered "a conservation-dependent species for the foreseeable future," the IUCN's report concluded.